Warm weather means outdoor grilling, bringing families and friends together for fun, sun and good food. Unfortunately, it is the perfect environment for foodborne illnesses, too, which peak in the summer. While most consumers are very aware of food safety issues, including salmonella, and the risk of illness, many do not follow recommended food safety practices in preparing their own meals at home, UC Davis researchers have found. A UC Davis study last year, which examined preparation of raw poultry, found that the most common risks in kitchens stemmed from cross-contamination and insufficient cooking. 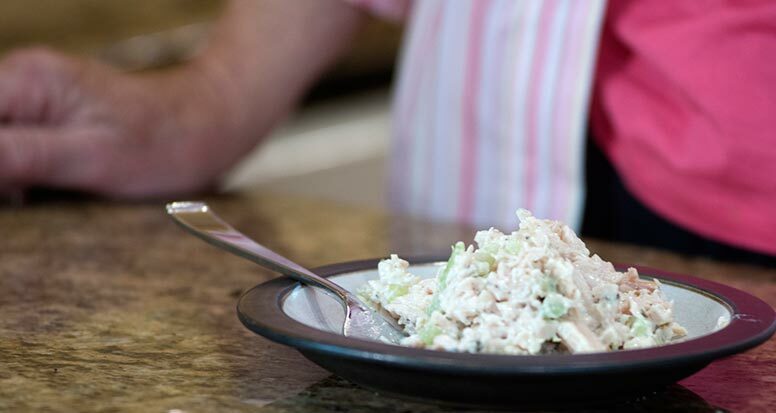 Most risks can be avoided by practicing thorough hand-washing, never rinsing raw meat in the sink and using calibrated thermometers to determine that meat is fully cooked, says Christine Bruhn, author of the study and a UC Cooperative Extension specialist emerita. “The first thing you have to start with is washing your hands. Wash your hands before you touch anything else,” Bruhn says while demonstrating appropriate food preparation techniques recently in her Davis kitchen. Wash afterward, too. “Anytime you touch a raw product, you need to wash your hands — for 20 seconds,” she adds. Another tip: “The best cooks use thermometers. That way you don’t overcook, you don’t undercook. Your meat will be juicy and good — and safe,” she says. From the grocer (put an extra bag around your meat so juices don’t get onto your lettuce and other groceries and contaminate them) to your table (clean platters and tongs), Bruhn shares her tips. 1. Don’t wash your meat: Washing your meat under running water only spreads the bacteria to your sink, into the air and to you. Cooking will remove any bacteria. 2. Contamination: Avoid cross-contamination by using a separate cutting board for meat and another one — or two — for preparing your salad or other foods. For best results, use a cutting board that can be sanitized in your dishwasher. Clean all surfaces where meat is handled with soap and warm water followed by a disinfectant cleaner. 4. Wash your hands again — and again — before, during and after preparing meats: And don’t touch your refrigerator handle, spice bottles, dishes or cupboards with your dirty hands — the germs on surfaces can live for days. 5. Keep your meat cold before it hits the grill: Don’t marinate chicken or beef at “room temperature” as some recipes say. This gives bacteria an excellent place to grow. Your refrigerator should be 40 degrees or colder. 6. Your thermometers — one for the refrigerator and one for meat — are your best friends: And they will make you the best cook. Learn to calibrate and use your meat thermometer to test the doneness of meats. This is the only way to ensure meat is fully cooked while not being overcooked. Stick the thermometer into thickest part of the meat. Also, have a thermometer for your refrigerator. 7. Don’t use the same utensils and dishes for raw meat and cooked meat: Wash those dishes and utensils, or switch to newly cleaned ones, while the meat is cooking. 8. 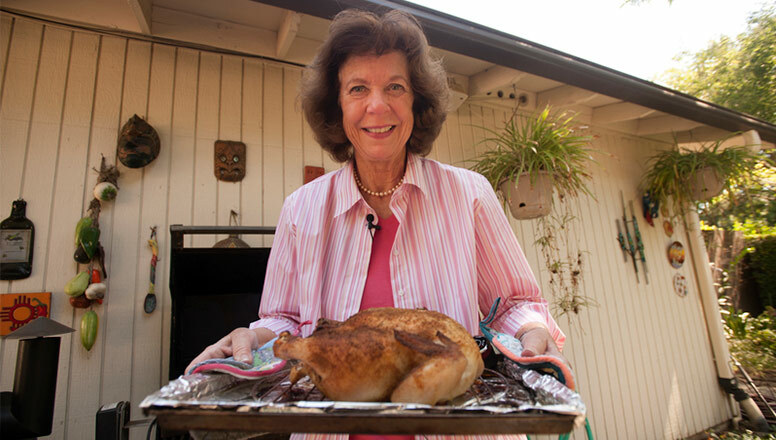 Cooking temperatures: Your chicken is cooked when it reaches 165 degrees; ground beef, 160 degrees. Other meats: See the USDA internal temperature chart. 9. Serve your food promptly and enjoy. 10. Store leftovers in the refrigerator as soon as possible: Make sure it’s no more than two hours and only one hour in warm weather (above 90 degrees). Reheat your meat to a safe temperature of 160 degrees or eat cold.